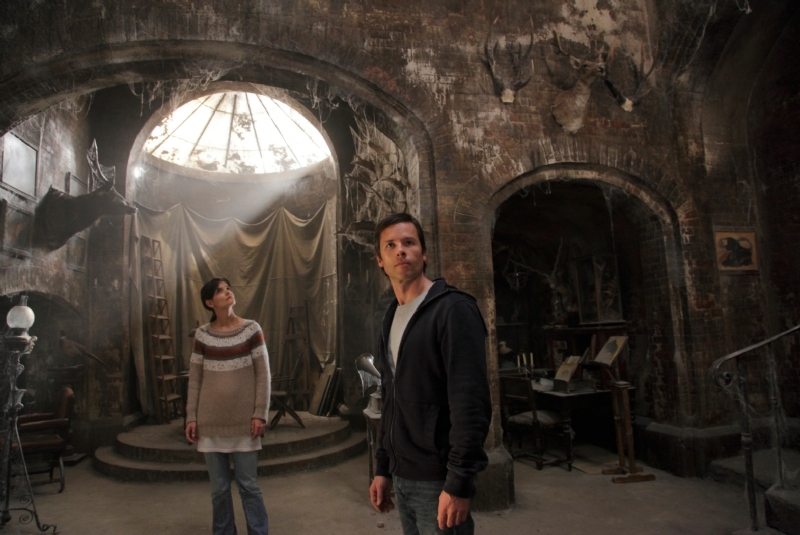 Yesterday we showed you a frightening international UK trailer for the Guillermo del Toro's produced Troy Nixie directed Don't Be Afraid of the Dark, the domestic trailer was released shortly after. It not mush different than the international trailer that was released, but this new creepy trailer is available for viewing in HD, which is alway nice. The movie stars Guy Pearce, Bailee Madison and Katie Holmes, and it looks like it's going to be one hell of an awesome horror film, which I'm extremely excited to see. The movie is set to be released on August 12th 2011. Watch the new trailer below and tell us what you think! Don't Be Afraid of the Dark follows Sally (Madison), a young girl who moves to Rhode Island to live with her father (Pearce) and his new girlfriend (Holmes) in the 19th-century mansion they are restoring. Having stumbled upon the mansion’s hidden basement, Sally starts hearing voices calling out from the bolted ash pit, imploring her to open it. Sally obliges and unwittingly unleashes something so terrible, so unthinkable, that everyone’s life – hers most of all - is placed in immediate and grave danger. Must Watch Movie Trailer for Guillermo del Toro's DON'T BE AFRAID OF THE DARK!